6 18th Place - Enjoy 21st century construction with 19th century Tybee cottage charm! In addition to the 5 true bedrooms there is a nursery/ office on the 3rd floor and a heated and cooled game room on the ground level. White water/surf views and breezes from double porches. 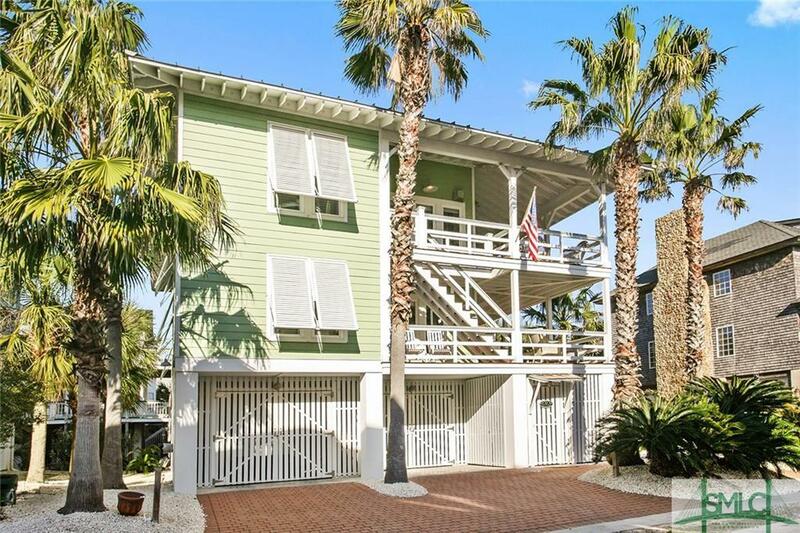 Located on a quiet private lane on Tybee's southern tip, enjoy the ocean and the Back River. 10 yards to the beach, or a few blocks to shops, restaurants, and the pier. A bright, spacious home made for entertaining! Quality construction to include Hardiplank siding, seamless metal roof,Elevator shaft, stainless steel fasteners, and IPE hardwood tongue and groove porch floors. . Easy access to the loveliest stretch of beach on the island, the best area to surf, paddle board, kayak and kite board. Secluded, yet close to everything.